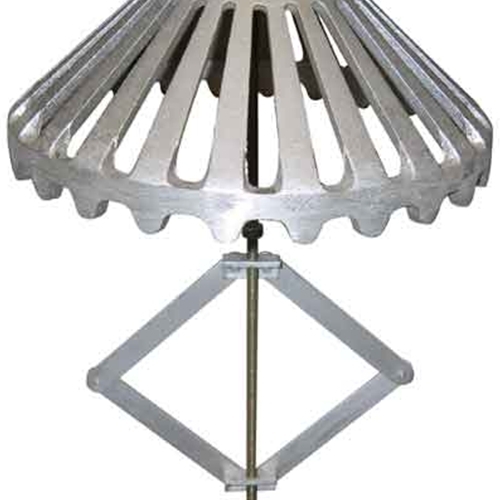 Cast Aluminum 9" Drain Guard adjusts to most residential and small commercial roof drains. Installs to fit drain outlets of 2-1/2" to 6" O.D. Easy to install. Turn strainer to expand scissors to approximately the inside diameter of the existing drain. Insert unit in drain, positioning it so the bottom of the strainer is just above the surface of the roofing material. Turn the strainer to further expand the scissors, until tight.